Regulatory changes have been made at both the State and Federal levels that affect our industry, as well as an increased level of FDA oversight of on line personal care companies. In 2017, the FDA issued numerous Warning Letters citing illegal drug claims associated with topical skin care, and eyelash/eyebrow preparations. 2018 has seen fewer such actions against cosmetic companies, yet new legislation and enforcement measures are being proposed for our industry. These areas of FDA involvement will be discussed by our Speaker, as well as providing an overview of any proposed regulatory changes. 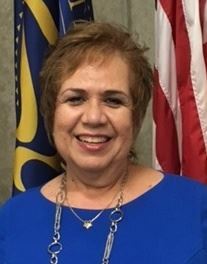 Rosario Quintanilla - Rosario has served the U.S. Food and Drug Administration for 27 years as the Senior Public Affairs Specialist (PAS) for the FDA’s Los Angeles District service area. She has spearheaded and coordinated all communication with FDA’s diverse publics and strategized, implemented, and delivered programs covering public health messages. She manages all media and key official interactions with the local FDA offices, laboratory, and import operations. She has also served in various collateral capacities as AIDS Health Fraud Coordinator, Diversity Coordinator, Hispanic Employment Representative, Congressional Briefing Chair for the Federal Executive Board, and MBTI Trainer. As a Spanish speaking, fluent bilingual, Rosario has been at the forefront of consulting, and assisting various FDA Centers in Hispanic outreach, and Spanish language media utilization at a national and international level. Rosario is a local Angeleno and received her BA from the University of Southern California with honors. Orchidia Fragrances is happy to support and sponsor Beauty Industry West. As a division of Flavorchem Corporation, Orchidia supplies customers globally with fragrances and flavors for any need. With a full Applications Lab in our Downers Grove, IL facility, we are able to create anything you can imagine, from natural to synthetic, from high-end personal care to candle fragrances. Knowledge changes perspective. Passion fuels vision. It is the little things that make the difference between average and exceptional, and at Orchidia Fragrances, with knowledge and passion, our associates create exceptional outcomes for our clients by sensing beyond the obvious to a higher level of understanding. We invite you to explore our site and share in the enthusiasm for what we love doing because our mission is to bring passion to life’s journey through inspired sensory creations.